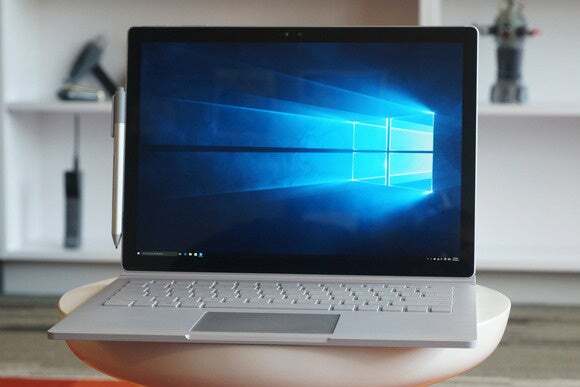 One of the most common complaints owners are making about the new Surface Book is that their new laptop will suddenly, unexpectedly lock up. Although Microsoft’s Surface Book is officially just a few days old, the “ultimate laptop” is being hit by a wave of unexpected lockup problems that has concerned new users. A thread on Microsoft’s support forums has begun to gain steam, with users reporting similar symptoms: The notebook just suddenly stops working, and nothing short of power cycling the Book via the power button seems to work. So far, Microsoft has yet to issue a fix. Some users have begun to suspect that the glitch is due to KB3097617, a Microsoft hardware update issued on October 23, that added support for the Windows Hello technology that was not enabled in review units Microsoft provided to reporters. “A small number of customers have flagged some issues with their Surface Book,” a Microsoft representative said in an email. “We are working hard to resolve them quickly and easily with Windows Update.” In other words, if an update comes down from Microsoft, the company recommends you install it. PCWorld also purchased a Core i7-based Surface Book from Microsoft in addition to the review units the company provided. After initially setting it up, I noticed that the Book would download but not install updates and apps from the Store. After rebooting the Book in the middle of the process (causing the updates, at least, to re-download) the updates and apps installed normally. Other issues with the Book that users have reported include the screen flickering when Hyper-V virtualization is enabled, and an issue with the “clipboard” of the tablet either not detaching or not being detected. In another interesting glitch, Windows 10 and Nvidia’s own software reported that there was no discrete GPU installed at all in the base portion of our Surface Bookt until I undocked and redocked the clipboard. By contrast, the Surface Pro 4 appears to be relatively bug free, although some users have complained about a purple screen tint while scrolling. Microsoft has positioned the Book as the “ultimate laptop,” amid reports that company is apparently wrestling with a problem of keeping Book units stocked within stores. And bugs are not exactly uncommon where Microsoft devices are concerned: Even though the Surface Pro 3 helped drive Microsoft’s Surface sales to hundreds of millions of dollars per quarter, the tablet was plagued by overheating bugs soon after its launch. Still, it would be best for all concerned if Microsoft could nail this down quickly. What bugs, if any, have you seen? Tell us in the comments below.